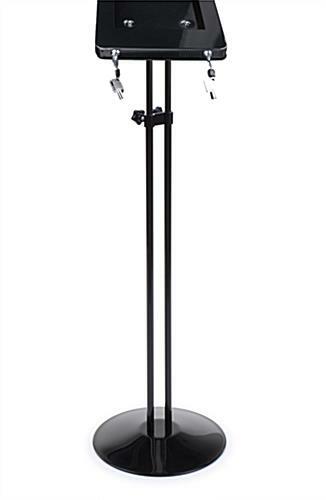 Enclosure Rotates 360° and tilts 180°. 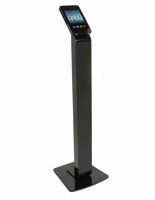 Aluminum Construction with A Black Powder Coated Finish. Access to charging port, front camera hole and volume controls. 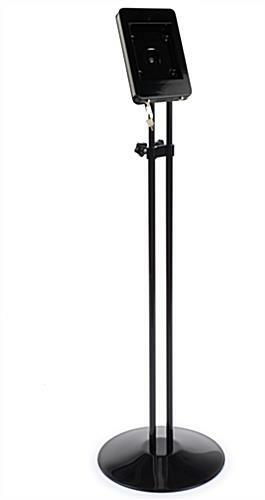 Height adjustable 38" and 65-1/2". 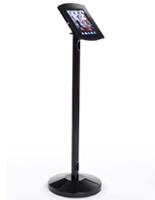 This ipad mini kiosk enclosure is the ideal marketing tool for commercial establishments. 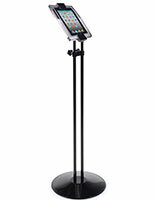 Tablet podiums such as these floor stands are commonly used in department stores, libraries, museums, churches, schools as well as many other locations. 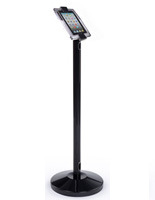 Each locking ipad mini kiosk enclosure includes (2) sets of keys for securing the unit and deterring theft. 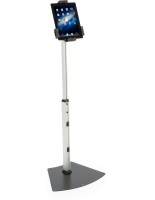 This Apple® device holder is height adjustable between 38" and 65-1/2" tall allowing the ideal viewing height for virtually any user. 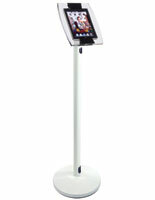 The ipad mini kiosk is a great way to bring attention to new sales and promote merchandise. 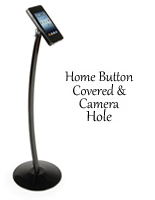 This tablet mount with dual locks features a 360° rotating device case that also tilts 180° for the ideal viewing format. 5.3" x 10.0" x 1.0"